We know we can never take your place in the loving eyes of your pet – but we sure as heck can serve as an awesome fill-in when you’re at work, too busy or away on vacation. Waggy Walkys has been catering to pets of all shapes, sizes and breeds since 2002, growing a trusted network of pet care professionals throughout the DC, Maryland and Virginia area. It’s not just what we do that sets us apart – it’s how we do it. Your pet’s health and safety are our main priorities, with extensive training, vetting and background checks provided for all pet care professionals in our network. Most of our trusted dog walkers and pet sitters have cared for animals for much of their lives, ensuring they have the know-how and skills to properly tend to the needs of your pet. When you entrust your pet with Waggy Walkys, you enjoy daily updates, detailed reports and, best of all, peace of mind that your pet is being cared for with the compassion, attention and adoration he deserves. Our second priority? Having tons of fun, of course! Give us a ring today. Our services cover all kinds of stuff you and your pet would need help with, from dog walks to family-style boarding, overnight house sitting visits to daily pet sitting visits (morning, afternoon, evening) for dogs, cats and any other pets you may have! We even offer a pet taxi to transport your pet to appointments or to and from your designated dog boarding house. Need something extra special? 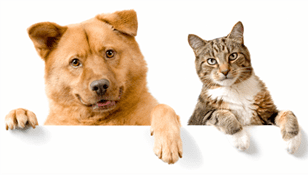 We gladly customize our services to meet you and your pet’s exact needs. Contact us now to learn more. Waggy Walkys LLC is a professional Dog Walking and Pet Care company that has been in business since 2002. We pride ourselves on pet safety, thoroughly screened staff, and excellent customer service. Please contact us today for our current promotions!